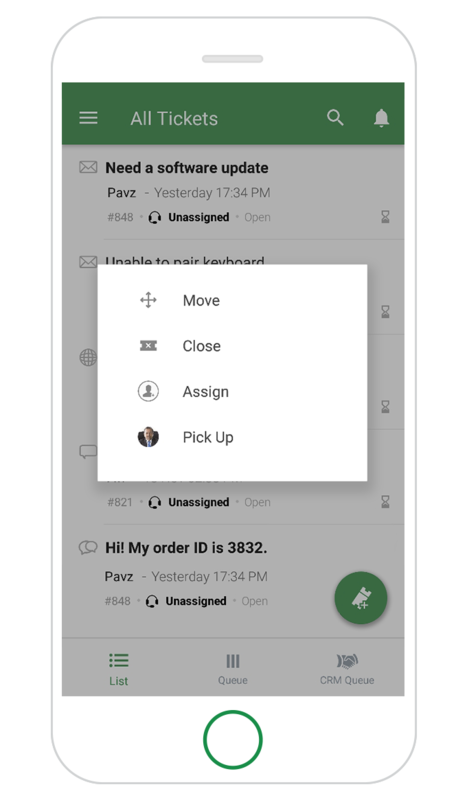 with the Zoho Desk mobile app. Your desk, in the palm of your hands. 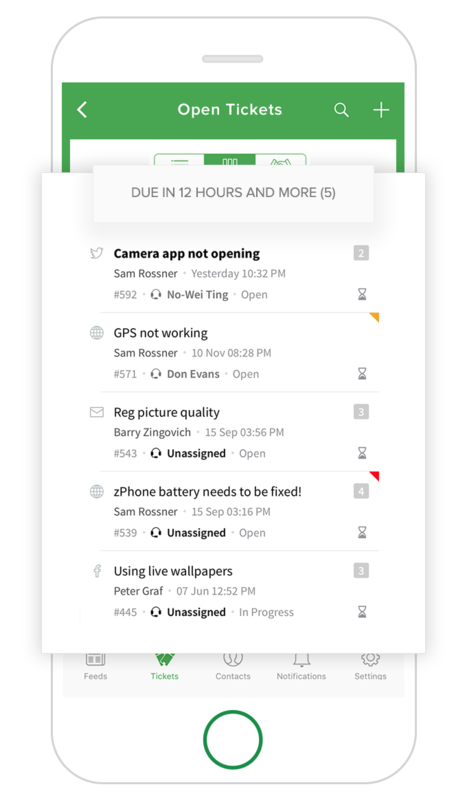 Get instant notifications about contacts, accounts, and the tickets you follow. 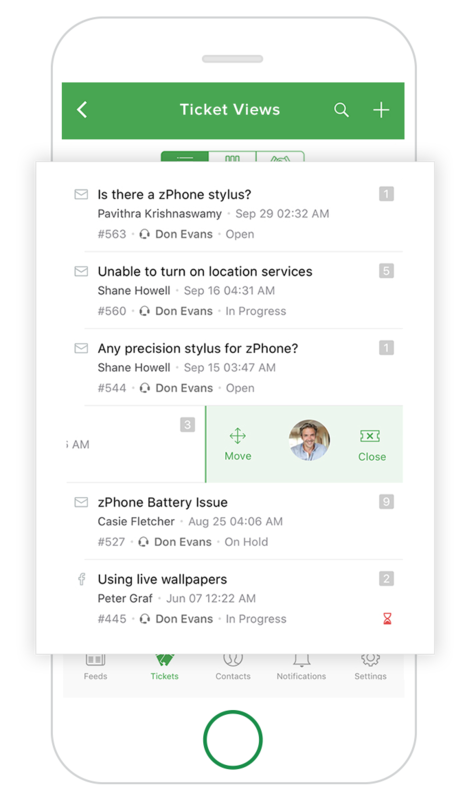 Within each ticket, responses and internal comments are displayed as full-length conversations. Work Modes organize tickets based on due time or customer type. Your tickets are sorted automatically, so that you can focus on responding to the most urgent ones first. 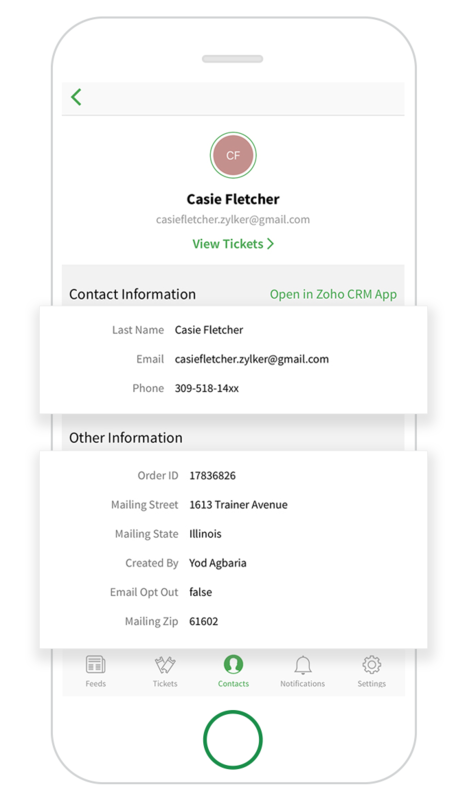 Zoho Desk brings in customer information from Zoho CRM, so you can put a face to each ticket. View contact details like email, phone number, and address, as well as past interaction details. Support your customers from anywhere, at anytime. 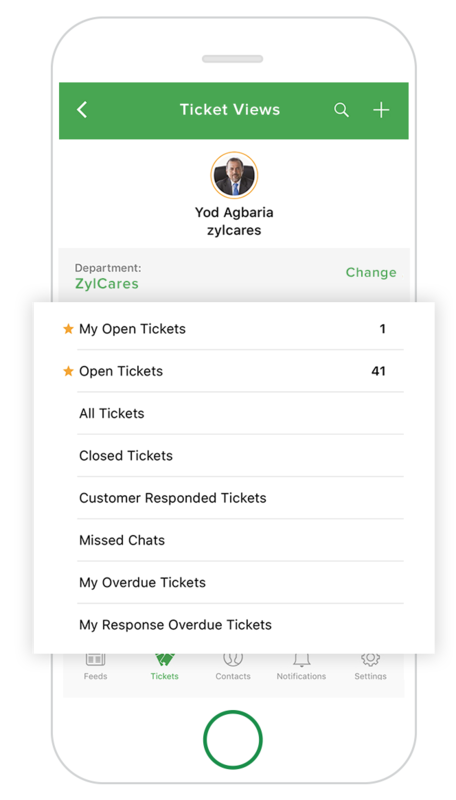 With one tap, you can create tickets on your Zoho Desk mobile app. Set the status, link to CRM contacts, assign owners, change priority, and more. Respond to tickets quickly with response templates. Write them once and use them forever. You can also upload attachments or make 'Private' responses. See the entire ticket conversation on a single screen. The latest response is displayed right on top, so you can move forward immediately. "We have seen an increase in answering support requests and have had a quicker adoption internally than with Salesforce"
Joshua SmithIT Manager, Wencor Group. "Very easy to use. Requires minimum data to open ticket. Very flexible management configuration. Beautiful data reports - very comprehensive info. Love the happiness feature." "Zoho Desk is simple to deploy and easy to integrate with existing services. The reports and interface are easy to customize. It integrates perfectly to email and asterix and also handles ticketing very well.."
Stay in the loop, always. Pass on a ticket to a colleague when you’re busy with another one, or swipe right to close the ticket. Quick, simple gestures like these make your help desk app a handy tool! 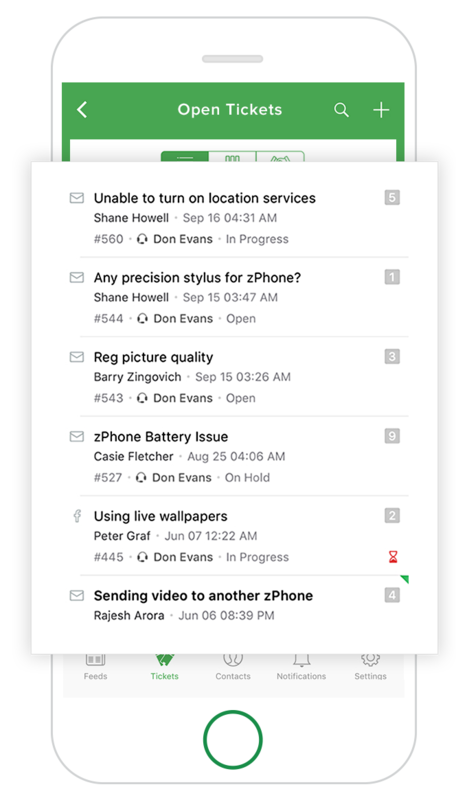 With social network style commenting and tagging, your team can now ask for help, brainstorm for solutions, and collaborate more in every ticket. With the Team Feed, your entire team is always updated. Ticket Views offers a consolidated view of all tickets assigned to you or your team. With one glance, you can see how many open, closed, and missed tickets you have. All the insights you need, on your Radar. 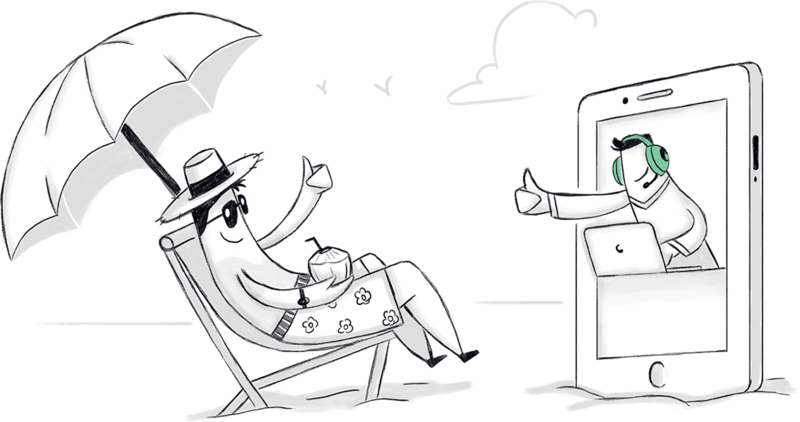 Radar by Zoho Desk brings exceptions to your attention through simple and intuitive dashboards. Designed for managers, the app provides vital customer service stats at a glance, including Live Traffic, Ticket Traffic and Customer Happiness Ratings. It brings anomalies to your notice instantly, and helps identify bottlenecks even before they arise. Swipe, tap and move ahead with the Zoho Desk mobile app today.